Personalization, of course, is in everybody’s best interest: tailoring your marketing communications to the individual has become less of a nice-to-have, and more of a must-have in today’s Now Economy. You may be inspired by hyper-personalized emails and desperately want to create them—but might feel discouraged if you don’t think that you have the data, design resources, or technical know-how to make it happen. 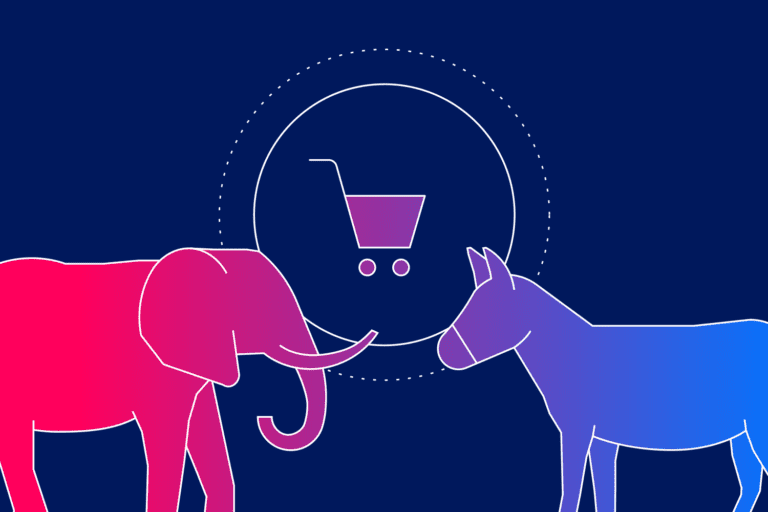 If you’re looking for ways to make your campaigns more targeted, then be comforted by the fact that Stephanie Cooper, Senior Email Marketing Specialist at Zillow, has been in your shoes. As Stephanie explained at our Activate conference, Zillow’s core value of “Move Fast, Think Big” propelled her to develop a highly effective, personalized Month in Review email—powered by Iterable. Want to recreate Zillow’s success in your own marketing campaigns? Be sure to follow these three critical steps. The goal of this message is to…what? For Zillow, and many other leading brands, it’s to generate meaningful traffic that will increase engagement and ultimately lead to more revenue. Who is the audience, and why do they care about this message? How does this message drive toward your goal? At Zillow, where people go to buy and sell their homes, their massive audience revealed a sea of untapped potential. By leveraging prior home search activity, the marketing team can pique user curiosity throughout their customer journey. By routing users to pages where it’s easy for them to browse and learn more about homes in their neighborhood, they will spend more time engaging with Zillow. Defining a goal with a targeted audience is the first shift towards more personalized content. Using Iterable’s growth marketing platform, Zillow was able to create powerful, data-focused emails, without a heavy lift. Here are the three key Iterable tools that Zillow leveraged in crafting their Month in Review email. Segmentation. 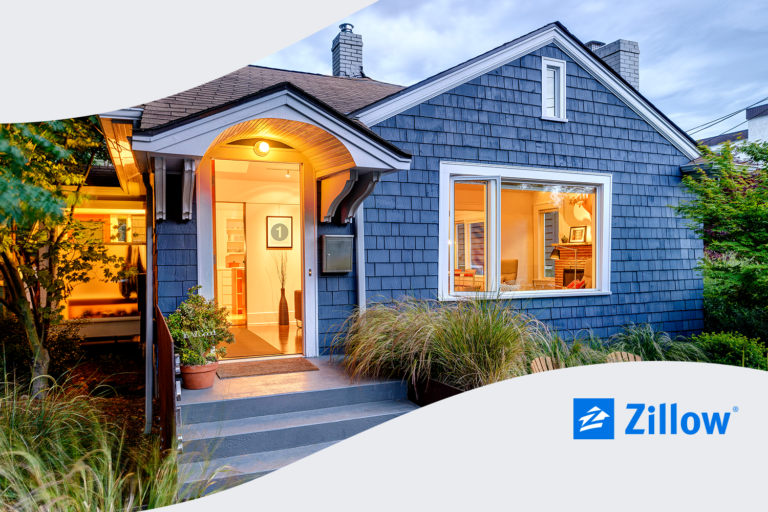 Zillow’s email marketing team segmented their large audience based on their particular persona (buyer, renter or homeowner), as well as added filters by varying levels of engagement. Iterable’s sophisticated segmentation tool made it easy for Zillow to determine the best messaging for each individual subscriber. Merge Parameters and Conditional Logic. Zillow found that their most successful Month in Review emails featured only 2-4 unique pieces of data. However, because not all user profiles have the same data fields populated and emails often focus on different data points, Iterable’s merge parameters and conditional logic enable truly tailored templates. For instance, not all Zillow users have homes for sale—Iterable can instead display their home value in their messages, without requiring an entirely separate email campaign. Data Preview. With every great email, a thorough proofread is crucial! 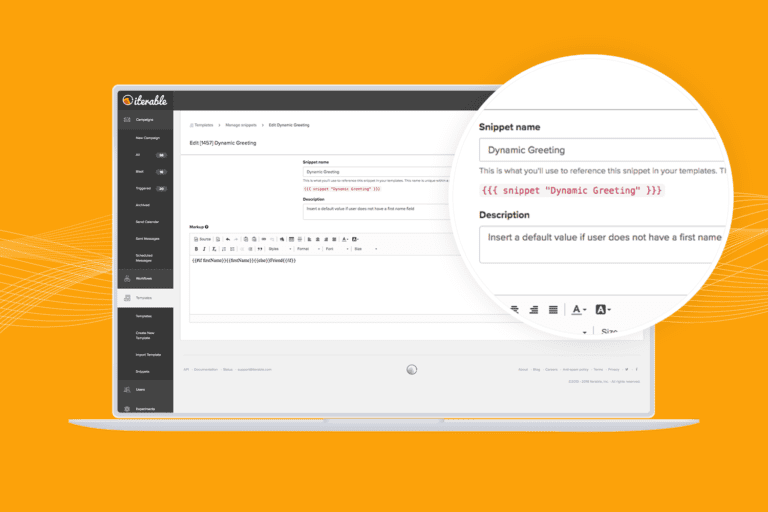 With Iterable’s enhanced data preview option, you can natively spot-check an email template with populated data across numerous devices and email clients—without sending proof after proof to your inbox. 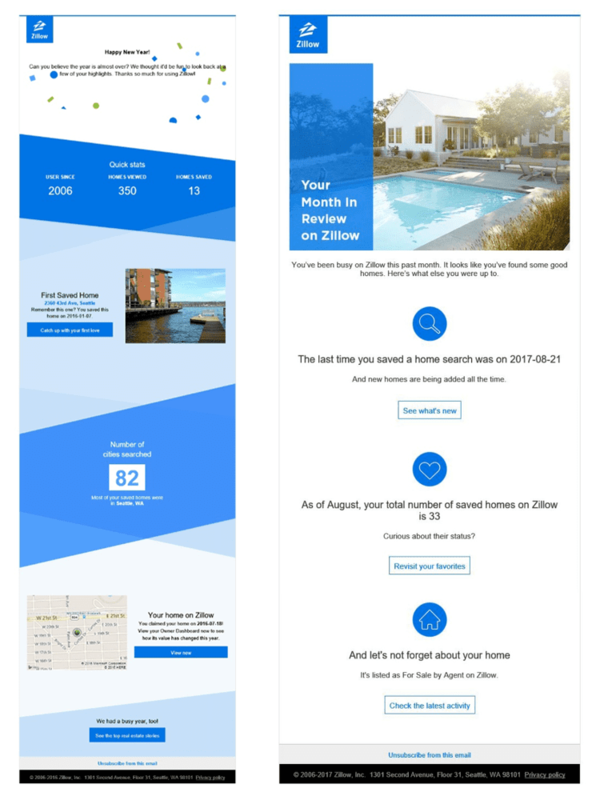 As depicted below, Zillow’s newly created Month in Review email is much lighter on data and simpler in its design, compared to their Year in Review counterpart, which showcased 11 unique pieces of user data. This strategic approach of “less is more” accomplished Zillow’s goal to drive meaningful traffic and engagement. The email marketing team achieved a 1.8X increase in proportional traffic sent to their site. Not only did they increase traffic, they also increased the number of pages per visit and their click-to-open rate. They also experienced a lower than average unsubscribe rate. Because a Month in Review occurs twelve times in a year, Zillow now has exponentially more opportunities to drive these metrics. Additionally, while the Year in Review email took Zillow an entire year of cross-functional work, the Month in Review email took just 4 days of Stephanie’s time with Iterable. By resetting expectations of what a data-driven email should look like—from the number of data points used to the email design itself—Zillow was able to generate massive success with their Month in Review campaign using Iterable. Impactful data-driven emails are possible to create—without a heavy lift or a year of planning. By defining your goals, maximizing your marketing toolkit, and analyzing what really works, Zillow was able to Move Fast and Think Big. And you can too! Check out the video testimonial above to learn more about how Zillow engages their audience with Iterable. How did Zillow achieve 161% lift in email opens and 18% higher click-through rate? Find out by reading this in-depth case study.